One of my goals this year has been to work with local Seattle businesses. 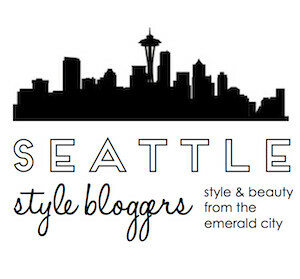 This city is chalk-full of stylish, talented people who make any proud Seattlite even happier to call this city home. Rivet & Sway is one of those local businesses that makes me proud to be from Seattle. They're the total package. The company is staffed by great people and, despite it being an online shopping experience, it doesn't feel that way! Everyone is so helpful and friendly, and the service is so personalized, that it really feels like you're a VIP at a local boutique. They even have a personal stylist who will help you find the perfect pair of frames. At the moment, I have no need for prescription glasses, but judging by the amount of people who wear them in my family, I will probably need them soon. That's why I only felt a little silly ordering frames from Rivet & Sway. 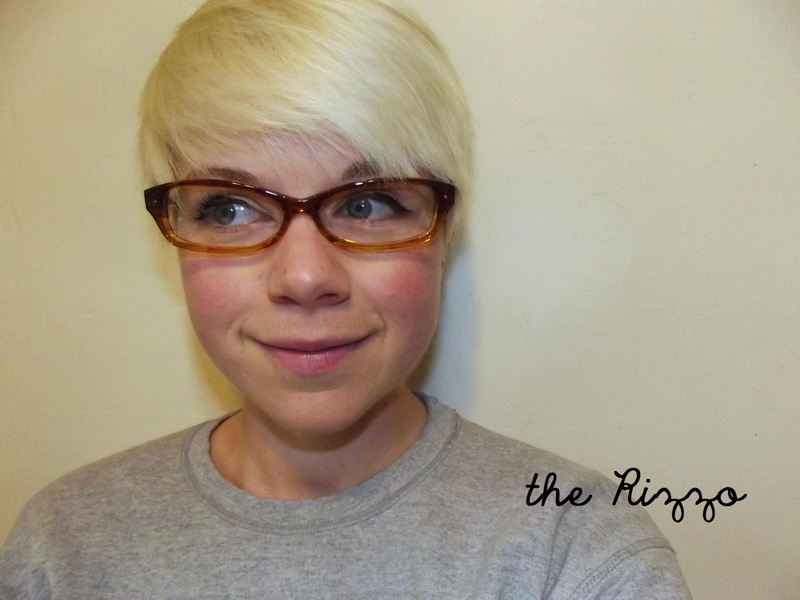 When Ritzy, Rivet & Sway's personal stylist, contacted me about writing a review I thought "Well, say what you want about fake glasses on people who don't need them, I'll at least have a nice pair of frames when my eyesight starts to go!" Plus, as you all probably know, I am not shy about wearing non-prescription lense. If you know what works for your face or what you love, then you can just choose for yourself. If you can't decide, you can use the Personal Styling feature and Ritzy will send you some personalized recommendations based on what you like and face shape. Once you've picked three frames, Rivet & Sway will ship them, both ways, for free! You get 3 days to try them on, ask your friends for input, etc. Ritzy is even available to give advice if you can't decide! When you've decide, you ship all the frames back. The last step is to order the pair you decided on. This is where you enter your Rx info and they will be ready within a week! I'm such a sucker for great packaging and graphic design. Which style should I go for? Check back for a pin-to-win sponsored by Rivet & Sway! I personally like the Rizzo! I mean the name for starters. But I'm a sucker for tortoiseshell and they make your eyes look huge! How fabulous, I love finding out about new companies like Rivet & Sway! I got my glasses from Tortoise and Blonde that have a similar home try-on style. My favorite is the Rizzo. 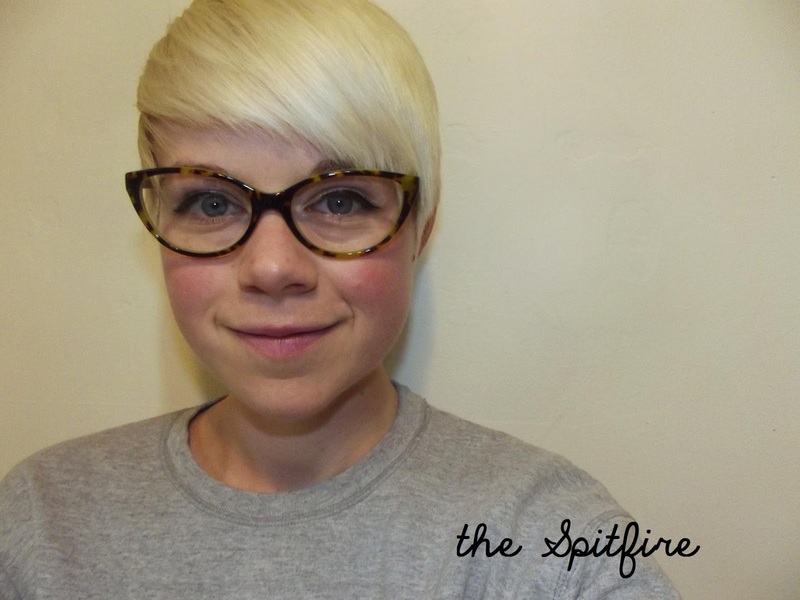 The Spitfire has a lot of fun but may be too large on your petite face. I'm the same way; any company with great design and packaging... ah! I love it. 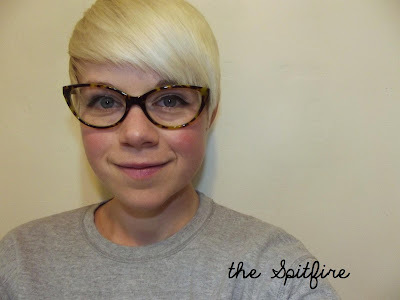 I like the Spitfire--very close to the glasses I'm currently wearing. You look cute in all of them. What a cool company! I have no need for prescription glasses either, but sometimes I want to have the courage to wear some falsies. :D Maybe one day I will!